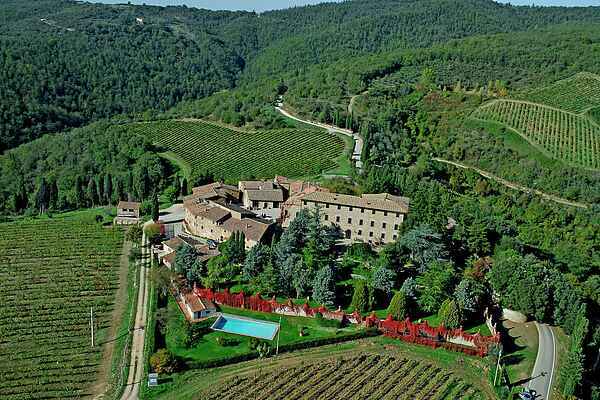 This agriturismo is located in the picturesque landscape of Radda in Chianti, near Siena. It is a great for relaxation in a beautiful nature. The location of the village gives you the freedom to enjoy the space and pool. The agriturismo also has an excellent restaurant with typical menus and fine wines. The apartments are located in houses of the village and also on the second floor of the villa. You can enjoy a fantastic view over the valley of Radda, the gardens and courtyards of the hamlet. The apartments are authentic terracotta tiles and wooden beams. The decor is rustic and there are some authentic furniture of the nineteenth century. The atmosphere is welcoming and cozy. The pool just outside the ancient wall and there are showers and toilets. This house is an ideal starting point for wonderful excursions in an area full of charm, art and culture.